In his years working for television, Sid Perou originated or played a major role in the production of almost 50 television films. In the mid-sixties Sid was working as an assistant sound recordist for the BBC, but in his free time was travelling up to Yorkshire where he had become a passionate caver, and with left-over lengths of 16 mm film from the BBC, he began to experiment with filming underground. When the BBC made a film about an actual cave rescue in Sunset Pot, Sid found himself seconded to do camerawork. This experience led to him leaving the BBC to move to Yorkshire and pursue his filming interests. It took a year to get his first commission - The Lost River of Gaping Gill, but it was well received and led to a highly productive partnership resulting in Sid making over 20 films for the BBC over the next fifteen years, most of which were broadcast on national prime-time television. 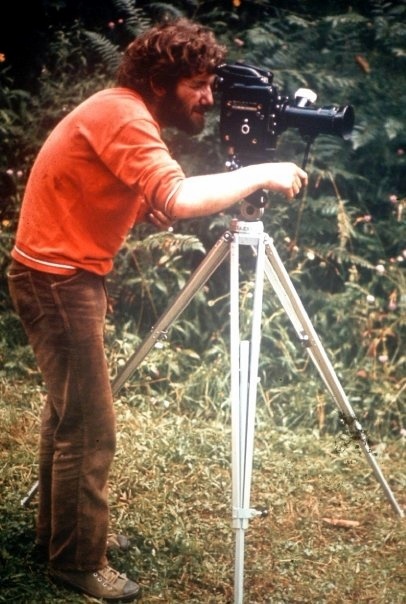 For over three decades, Sid established a reputation for himself as an adventure cameraman, editor, and director on subjects including caving, climbing, canoeing, microlighting, hang gliding, and hot air ballooning. He has worked all over the world, including Canada, the USA, Mexico, New Guinea, Sarawak, China, Kenya, Iran, as well as all over Europe. He has won many awards for his work, including the prestigious Academy of Arts and Sciences Primetime Emmy award. He has documented many of his experiences in his book 30 Years as an Adventure Cameraman. Sid has uploaded many of his films to Youtube where they are now available for viewing. The date below is when the film was first broadcast, if it was, otherwise when made. Where known, the awards won by a film are noted on the individual pages, although it is worth noting that Mysteries Underground which is not available on Youtube and hence does not have its own page, won a Television Academy Emmy Award for Outstanding Individual Achievement in 1993. Adventure: The Climbers 1989 Climbing Here BBC - Sid filmed the section "Climbing the Kame"